iOS Guy | Feel it! Enjoy it! On Demand Resources (ODR) is an iOS 9 feature that enables applications to host resources on a remote server while using those as if they were bundled within the app. It allows applications to considerably reduce their binary size and still offer high speed, high quality content. Your application resources are hosted by the App Store if your app is published, but those can also be hosted on custom web servers if your application is signed with an Enterprise Profile. As for the development stage, Xcode 7 hosts the resources on your local machine. If you are doing Continuous Integration, Xcode Server can also host your resources. An application can leverage ODR for basically any kind of resource. That includes images, videos, data files and other specific file types such as Apple TV Image Stack files. 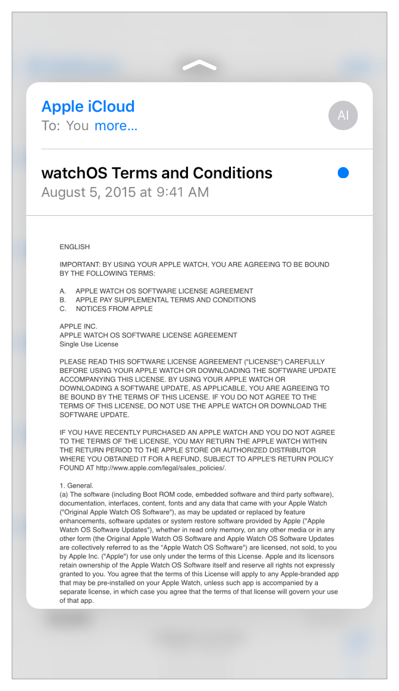 It is really important to note ODR is not supported on iOS 8. By unsupported I don’t mean that ODR assets are seen as regular bundled assets on iOS 8, but rather they are not available at all (not even included on the binary). Unfortunately, if you are looking to leverage ODR on your application, you must not support older versions of iOS. If that is your case, leveraging ODR is really simple. All you need to do is categorize your resources and then tag your categories. Once you’ve done that, there are new API calls which handle the download in your behalf and tell you when the resources are locally available, so you can access them through the very same APIs you already do today. Of course, we will go over the APIs and such, but those are so simple, I rather first go over topics like what you should expect, think about or be aware of, when integrating ODR in your application. The first topic in that regard is what files you should use ODR for. ODR is all about reducing your application’s size, both the binary and footprint. Any resources you don’t need right away or that you don’t need to have always available are good candidates. Specially if those are big files. Apple likes to use Game apps to exemplify. That is because it is very easy to imagine that a game app doesn’t need all the levels as soon as it is installed. It will also no longer needs the initial levels if the player is far through the game. Any assets needed for those levels can be marked as ODRs. The app will be much smaller because a lot of assets (images, sprites and videos for example) needed for those levels will not be downloaded together with the game, but only when needed. Another very important detail on the ODRs life cycle that you might have picked up on the last paragraph, is that resources once downloaded, can become unavailable again. The reason is that often you need a given resource until you don’t. In the Game example, those early levels are not required and could be removed once you are past them, to make space for new stuff. That is precisely what iOS does. It tries to keep your footprint as small as possible. But it will only delete files your application downloaded if it needs more space. You should always keep that in mind. As iOS might delete resources that are not in use, it also allows your application to set a content preservation priority. iOS will use that information to decide which files to delete first. Basically the bigger files that are less important for you will be deleted first. It is also possible for you to use ODR for resources you do need available as soon as your application installs. iOS will take care of assuming the app as installed only once those resources – you marked as needed upon first launch – are downloaded and available. As you might expect, the file size for these resources counts towards your total app size in the App Store, while other ODR resources don’t. The upside in using ODR for these resources you need right away, is that those might not be needed afterwards. iOS can free that space for you and provide those back if you ever need them again. A good example are welcome videos. 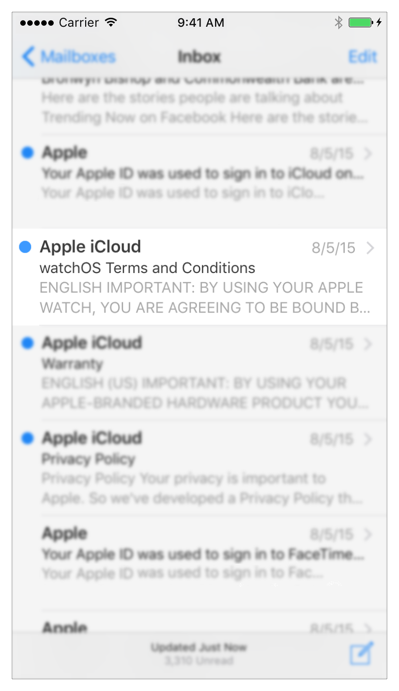 Users see these welcome videos when they install your application but after that, they rarely go after those again. I guess that is enough detail concerning what you should have in mind while working with ODR. Let’s dive into the implementation details! First thing to do is enable ODR for your project. Creating and Setting Tags. Screen shot from Apple’s documentation. You can also specify tags by typing it’s name in the On-Demand Resources Tags field on your Target settings. If you are looking for having your resources Prefetched, you can set that up on your Target’s Resource Pane. Just assign your tags to either Initial Install Tags or Prefetched Tag Order categories. The first ensures your resources will be downloaded and made available as soon as your app finishes installing, while the second will trigger the download of your resources in the order those were specified, as soon as your app finishes installing. beginAccessingResourcesWithCompletionHandler: This API will download the resource if needed and call the completion block when the resource is available. It will also tell iOS you are currently using the resource and that it should not be deleted by system if it needs extra disk space. conditionallyBeginAccessingResourcesWithCompletionHandler: Does not download the resource. The completion block will return immediately with a resourcesAvailable boolean. If the resources are available, those are also marked as currently in use. One very important aspect of the completion handler (I better bold this) is: The callback block is not called on the main thread. If you are going to do anything UI related, make sure to schedule such operation on the main thread. Within this block (or after it was called) you can access the resources you asked (as long as you don’t have any errors), the same way you did before (i.e: [UIImage imageNamed:]). Both of these methods are called on a NSBundleResourceRequest instance. To create one you need only to call initWithTags: and provide the tags you want to access. You should keep reference to the instance of NSBundleResourceRequest you created, so that you can call endAccessingResources once you are done. 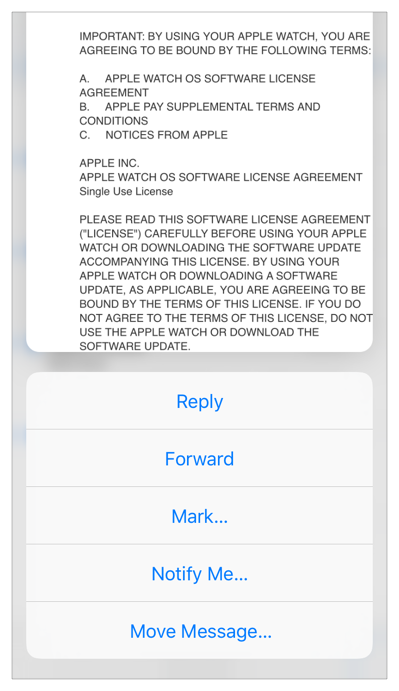 That will tell the system that you have finished accessing the resources marked with the tags managed by the request, effectively allowing iOS to delete those resources if required from this point forward. If you don’t call that method, the system will when the resource request object is deallocated. That reference can also be used to listen for progress updates or cancel the request/download operation or to set the loadingPriority, which tells the system how to prioritise the order of your download requests. Network related issues: These can be either common networking issues, non-existing resources or asset pack size errors. The last two you should find and resolve during development. Local storage issues: These can either be maximum in-use memory exceeded (NSBundleOnDemandResourceExceededMaximumSizeError), which you fix by calling endAccessingResources on resources you no longer need; or a system memory exceeded error (NSBundleOnDemandResourceOutOfSpaceError), in which case you should listen for Low Space Warnings. Unexpected state: This kind of error tells you there is something wrong with your state handling. The best way to debug these, is by using the Disk Gauge (there is an icon for that on Debug Navigator) and check out the size and status of each resource. This should be a pretty good overview/sum-up to get you started right away. If you feel like you need more information, don’t hesitate to check the official documentation. This is an utility class available in the Android SDK that abstracts a worker thread. An AsyncTask object can be compared to the NSOperation object from iOS. The NSOperation object represents an operation of some kind and has to be added to a NSOperationQueue in order to execute. This queue can either be the main queue (UI thread) or another one that you create to execute operations in background. iOS doesn’t schedule an operation if it is not possible, neither throws exceptions when it is not possible to schedule an operation. Instead, iOS waits for the right moment to schedule the operation. The difference between AsyncTasks and NSOperation lies on how they are scheduled. An AsyncTask is automatically scheduled when the method execute() is called. From API Level 11 onwards, execute() can have some parameters passed in to specify the queue on which to schedule it. Both methods onPreExecute() and onPostExecute(Result) are invoked on the main thread, so that you can safely update the UI. If you would like to show the user progress is being made, there is a fourth template method – onProgressUpdate(Progress) – that you can implement to update the UI. Notice that you need to regularly invoke publishProgress(Progress) from within doInBackground(Param) so that onProgressUpdate can be called for you. Params is the argument type for the array passed in to doInBackground. Progress is the argument type for the array passed in to onProgressUpdate. Result is the return type of doInBackground, which in turn is the argument type passed in to onPostExecute. When execute(Object.. params) is invoked the task is executed in a background thread. Depending on the API Level AsyncTasks may be executed serially, or concurrently. The only way to be sure is by invoking executeOnExecutor(Executor executor, Object.. params) method instead, and supply an executor. But this can only be done from API Level 11 onward, as I said previously. This is a very useful abstraction of a Thread/Runnable combination. As it provides the hooks needed to keep focus only on what you application needs to do. However you must keep in mind that it is not all flowers. If you want to support the vast majority of Android users, you must develop for API Level 8 (currently if you install Eclipse with ADT, ADT will tell you that about 80% of Android users are running API Level 8. I am not sure if this is valid only for Brazil or not. Anyways, even it is only within Brazil, that counts already hundreds of thousands users – Brazilian population is approximately 194 million people). And API Level 8 doesn’t support executeOnExecutor. API Level 8 AsyncTask supports 10 threads and a work queue depth of 10. In theory, that would support 20 threads if nothing else is using AsyncTask as well. This limitation easily crashes your app if you are using AsyncTask to fetch thumbnails from some remote URL for a list view to present in each row. If you are consuming a web service, the right approach would be to use a Service instead of a worker thread. So you could use the same service to request the image, store it locally and fetch it somehow from your local filesystem so that your ListActivity can present it. But if you wish to keep things simple and don’t handle image caching at all, the solution is to implement a queue and execute your requests serially. Personally I think this should be provided by Google in the Support Library. But it isn’t, so the solutions is to copy the newly version of AsyncTask (from API Level 11) into our own AsyncTask implementation and make it work with earlier Android SDK (down to API Level 3). The modified source code is available here. Note: It is important to keep in mind that this alternative works very well (since it doesn’t really matter what API Level your user is running), but it is also considered to be bad practice since you don’t get updates on AsyncTask when a new API Level is released unless you manually apply any changes to your class. Another thing to keep in mind is that AsyncTasks are there for you to void blocking the main thread, but you have to properly handle them considering the Activity lifecycle and also that your application runs in an environment where users switch contexts frequently and quickly. For example, if your AsyncTask retains a reference to the Activity, not cancelling the task when the Activity dies wastes CPU resources on work that cannot update its UI, and creates a memory leak. Don’t forget Activities are destroyed and re-created when some configuration changes (ie: device orientation). So these are not edge cases. AsyncTask is good, but also has its limitations – depending on the API Level – and constraints. Having those in mind, think about your task before coding with AsyncTasks. Maybe they are not the best approach. Maybe they are. And maybe you should grab Google’s code, modify it and use it instead.